Quelques intervenants qui participent au colloque ATHS 2015. He is a Social Psychologist and Professor of Psychiatry at the University of Colorado Denver. For more than 30 years he has developed and evaluated interventions designed to prevent the spread of HIV among people who inject drugs (PWID). 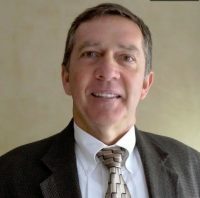 While the majority of his work has been in Denver, with an emphasis on assessing interventions to improve substance abuse treatment entry and retention, for the past 15 years he has implemented and tested behavioral interventions in Ukraine. He has more than 200 publications and more than 50 million dollars in NIH funding. He recently received a five-year National Institute on Drug Abuse (NIDA) award to study medical marijuana in Denver. Dr. Booth has served on numerous study sections for NIH and, from 1998-2002, was a member of the Office of AIDS Research Advisory Council. In 2010, he was a recipient of the Award for Excellence in Global Health, University of Colorado Center for Global Health and, in 2015, the International Drug Abuse Research award for Excellence in Mentoring from the National Institute on Drug Abuse. His expertise is in quantitative research, behavioral interventions and prevention research. 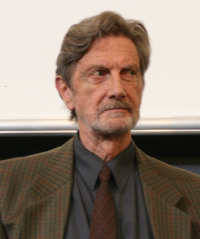 Wim van den Brink (1952) received his medical degree in 1981 from the Free University in Amsterdam. After his psychiatric residency in Groningen (1981-1986), he was a fellow at the Psychiatric Epidemiology Training program at Columbia University in New York. In 1989 he received his PhD degree form the State University of Groningen, the Netherlands. Since 1992 he is full professor of Psychiatry and Addiction at the Academic Medical Center of the University of Amsterdam. He is also the director of the Amsterdam Institute for Addiction Research (AIAR). In 2014 he received the life time achievement award for science from the Netherlands Association of Psychiatry and in 2015 he was granted the status of honorable member of the Spanish Society for Dual disorders. He is a (co)author of more than 500 peer reviewed scientific papers and has been a thesis advisor of more than 60 PhD students. He is currently one of the chief-editors of European Addiction Research. He is the chair of the Workgroups that developed the Dutch Interdisciplinary Treatment Guideline on Alcohol Use Disorders and the Dutch Interdisciplinary Guideline on Opiate Addiction. He is one of the founders and the president of the International Collaboration of ADHD and Substance Abuse (ICASA). Until September 2015 he was the chair of the Scientific Program Committee of the European College of Neuropsychopharmacology (ECNP). His main scientific interest are related to the neurobiology of substance use disorders and behavioral addictions, the pharmacological treatment of addiction and related comorbidities, and the reduction of stigma regarding substance use and patients with an addiction. Professor of Social Psychiatry, now President of the Research Institute for Public Health and Addiction, a WHO Collaborating Centre affiliated with Zurich University. Member of the WHO Expert Panel on Drugs, co-founder of the European Association on Substance Abuse Research and of the journal European Addiction Research. Head of the Department for Addictive Behaviour & Addiction Medicine. Central Institute of Mental Health Mannheim, University of Heidelberg/Germany. 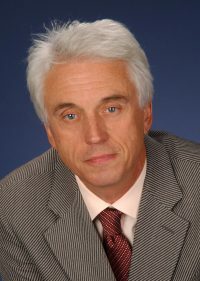 Karl Mann holds a chair in Addiction Research at the University of Heidelberg, Germany and has been the Deputy Director of the Central Institute of Mental Health, Mannheim since 2006. He received his M.D. at the University of Mainz and his PhD at the University of Tuebingen. He was a research fellow in the United States and in Paris. He holds a Board Certification for Neurology, Psychiatry & Psychotherapy. Prof Mann’s research focus is on the treatment of alcohol and nicotine dependence, gambling, neuroimaging, and psychopharmacology. He has published approximately 450 original papers. He was awarded the Research Prize of the German Society for Biological Psychiatry in 1992, the German Addiction Research Award 2004 and the Hermann Simon Prize for Health Services Research 2007. He is Associate Editor (Europe) of Alcoholism: Clinical and Experimental Research. 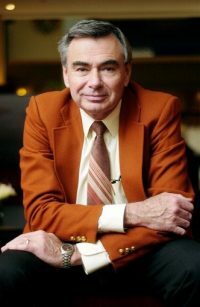 He was a board member of the European Psychiatric Association (EPA) from 1990 until 2010 and is also a member of the European College of Neuropsychopharmacology (ECNP); European Society for Biomedical Research on Alcoholism (ESBRA); German Society for Psychiatry, Psychotherapy and Neurology (DGPPN). 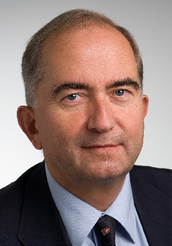 He is the immediate past president of the German Society for Addiction Research and addiction treatment (DG-Sucht) and was the President of the International Society for Biomedical Research on Alcoholism (ISBRA) until October 2012. He is the immediate past president of the European Federation of Addiction Societies (EUFAS) until 2014. Marc Auriacombe is a Professor of Psychiatry and Addiction medicine at the Medical School of the University of Bordeaux, Bordeaux, France and an Adjunct Associat Professor of Psychiatry at the University of Pennsylvania, Philadelphia, PA., USA. He is the director of an addiction research team at CNRS USR 3413 Sanpsy and medical director of the Addiction Treatment Services of the Charles Perrens Hospital and CHU Hospitals in Bordeaux, France. He is the principal senior investigator of an integrated addiction research program funded by French national and European funds. The focus of this research is on commonalities of addictive behaviors whether related to drugs (tobacco, alcohol, cannabis, heroin, cocaine and other drugs) or other addictions (gambling, internet gaming, food, etc.). The objective is to better characterize the phenomenology of addictive behavior and its determinants. Marc Auriacombe was awarded the EUROPAD Award 2002 « Chimera d’Argento » « Dedicated to all those who dream of a better world for drug addicts » and has published over 200 papers in research and educational journals and books in English, French and Spanish. Over the past 25 years, Marc Auriacombe has been a member or collaborator of several French (ANDEM, ANAES, HAS, AFSSAPS), European (EMCDDA, Pompidou Group, Cochrane), North-American (NIDA) and International Agencies (WHO) related to health and addictions and member of advisor groups for the French Government (MILDT, CNA). Marc Auriacombe was appointed by the American Psychiatric Association member of the Substance-Related Disorders DSM-5 Workgroup (2007-2013). 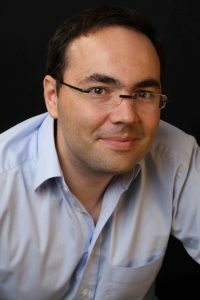 Marc Auriacombe est Professeur à la Faculté de médecine de l’Université de Bordeaux et Adjunct Associate Professor à l’Université de Pennsylvanie à Philadelphie, USA. Il est directeur-adjoint du Laboratoire Sanpsy (CNRS USR 3413) et responsable de l’équipe « Phénoménologie et déterminants des comportements appétitifs ». A l’hôpital Charles Perrens (Bordeaux) en lien avec le CHU de Bordeaux, le Pr. Marc Auriacombe est chef du Pôle Addictologie qui regroupe un ensemble de services sanitaires et médico-sociaux de prise en charge et de prévention des addictions avec ou sans substances, ainsi qu’une unité de formation et de recherche hospitalière. Marc Auriacombe est entouré d’une équipe pluriprofessionnelle de plus de 40 personnes et dirige avec Mélina Fatséas (MD, PhD, HDR) un programme de recherche sur les comportements addictifs dont l’objectif est de mieux caractériser la phénoménologie des conduites addictives et ses déterminants. Ces recherches s’appuient sur les méthodes de l’épidémiologie, de la sociologie, des neurosciences cliniques et de la psychologie. Chef du Service de psychiatrie communautaire, Département de psychiatrie du CHUV. Membre fondateur de la Société suisse de médecine de l’addiction (SSAM) en 2000, membre du Comité et Chairman du Conseil scientifique. Membre de la Commission fédérale pour les problèmes liés aux drogues. Vice-recteur Recherche et Affaires étudiantes de l’Université de Lausanne de 2003 à 2006. Membre du Conseil de fondation du Fonds national suisse pour la recherche scientifique. Rédacteur en chef des Archives suisses de neurologie et de psychiatrie pour la psychiatrie francophone. Membre du Sénat de l’Académie suisse des sciences médicales. Son intérêt pour la psychiatrie communautaire et la santé mentale l’a porté à étudier depuis de nombreuses années les rapports entre psychiatrie et religion. Charles P. O’Brien, M.D., Ph.D., is Kenneth Appel Professor and Vice Chair of Psychiatry, and Director of the Center for Studies of Addiction at the University of Pennsylvania in Philadelphia. In addition, Dr. O’Brien served as Chief of Psychiatry at the Philadelphia VA Medical Center until 2008. He earned his MD and PhD from Tulane University School of Medicine in New Orleans, LA, and received his residency training in internal medicine, neurology, and psychiatry at Harvard Medical School in Boston, MA, Tulane University, the University of London in the United Kingdom, and the University of Pennsylvania. Dr. O’Brien was elected to the Institute of Medicine of the National Academy of Sciences in 1991 and has received numerous research and teaching awards, as well as an honorary doctorate from the University of Bordeaux in 1994, the Nathan B. Eddy Award for Research on Addiction from the College on Problems of Drug Dependence in 2003, the American Psychiatric Association Research Award in 2000, and the 2010 Gold Medal for Research from the Society on Biological Psychiatry. In 2010, he received the Sarnat International Prize for Mental Health from the Institute of Medicine, and in 2012, the Jellinek International Award for Alcoholism Research and the Isaacson Award for Alcoholism Research. In 2013 he received the Chevalier (Knight) of the French Legion of Honor for his contributions to French addiction science, In 2015, he received the Lifetime Science Award from NIDA/NIH for research contributions. 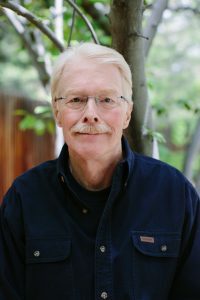 Dr. O’Brien has been an adviser on drug policy to local and national governments since the 1970s, has chaired or served as a member of numerous Institute of Medicine committees dealing with the science and policy matters of abused drugs, and is recently served as Chair of the Substance Use Disorders Committee for revision of DSM-5. Dr. O’Brien has been able to establish and direct a clinical research program that has had a major impact on the treatment of addictive disorders. His research group has been responsible for numerous discoveries described in more than 550 publications, many of which are used throughout the world for the treatment of addictive disorders. Don C. Des Jarlais, Ph.D. is Director of Research for the Baron Edmond de Rothschild Chemical Dependency Institute at Beth Israel Medical Center, a Senior Research Fellow with the National Development and Research Institutes, Inc. and a Guest Investigator at Rockefeller University in New York. He began his research on AIDS in 1982. As a leader in the fields of AIDS and injecting drug use, Dr. Des Jarlais has published extensively on these topics including papers in the New England Journal of Medicine, the Journal of the American Medical Association, Science and Nature. He has been particularly active in international research, having collaborated on studies in twenty-five different countries. 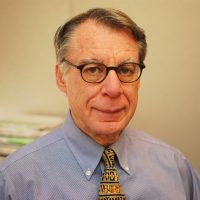 He serves as a consultant to various institutions, including the Centers for Disease Control and Prevention, the National Institute on Drug Abuse, the National Academy of Sciences and the World Health Organization. He is a former commissioner for the US National Commission on AIDS, and is currently a Core Group Member of the UNAIDS Reference Group on HIV and Injecting Drug Use. In 2010 Dr. Des Jarlais was elected to the U.S. President’s Emergency Plan for AIDS Relief (PEPFAR) Scientific Advisory Board (SAB). 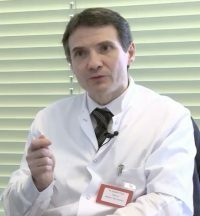 Vincent Laprevote (MD, PhD) is Psychiatrist in the Maison des Addictions in Nancy laprevoteUniversity Hospital and in Nancy Psychotherpeutic Centre, were he develops an early detection and intervention centre for psychosis. He also integrated the EA 7298 INGRES Lab of Lorraine University for his research. He is specialized in cognitive neuroscience and especially in visual perception in mental disorders. Knowing how the brain encodes and integrates visual information helps to mode lize fundamental dysfunctions in these troubles. Vincent Laprevote led a serie of studies on schizophrenia with Muriel Boucart and Pierre Thomas (SCALAB, Lille) and Aude Oliva (MIT, Boston). He is now responsible of CAUSA MAP program, granted by the French National Research Agency and MILDECA. This program aims to study the functionnning of visual system in regular cannabis users and to identify potential biomarkers of cerebral. Vincent Laprevote (MD, PhD) est psychiatre au Centre Psychothérapique de Nancy, où il est chargé de développer un centre de détection et d’intervention précoce pour la psychose, et à la Maison des Addictions du CHU de Nancy. Il exerce ses activités de recherche au sein de l’EA 7298 INGRES de l’Université de Lorraine. Spécialisé en neurosciences cognitives, il s’intéresse particulièrement à la perception visuelle dans les troubles mentaux. Connaître la manière dont le cerveau encode les informations visuelles puis les intègre afin de former un percept cohérent permet de modéliser les dysfonctionnements fondamentaux en jeu dans ces troubles. Il a mené une série d’études portant sur la schizophrénie, conjointement avec Muriel Boucart, Pierre Thomas (SCALAB, Lille) et Aude Oliva (MIT, Boston). Il est désormais responsable du programme CAUSA MAP, soutenu par l’ANR et la MILDECA. Ce vaste projet vise à étudier le fonctionnement du système visuel chez les usagers réguliers de cannabis et à identifier d’éventuels marqueur précoce d’anomalies du fonctionnement cérébral. Il est actuellement chercheur invité à la Clinique Psychiatrique Universitaire de Bâle. Dr. Montoya is the Deputy Director of the Division of Pharmacotherapies and Medical Consequences (DPMC) and Senior Medical Officer at the National Institute on Drug Abuse (NIDA). He received a Doctor in Medicine degree from the University of Antioquia (Colombia) and a Masters in Public Health from The Johns Hopkins School of Public Health. He completed residency training in Psychiatry at the University of Antioquia and the Johns Hopkins University. He has been a Fulbright-Hubert H. Humphrey Fellow at The Johns Hopkins School of Public Health, Visiting Fellow at the Intramural Research Program of NIDA, Director of the Practice Research Network of the American Psychiatric Association, and consultant for the World Health Organization. He has published extensively in the areas of etiology, prevention, treatment (pharmacological and non-pharmacological), and medical consequences of drug abuse. 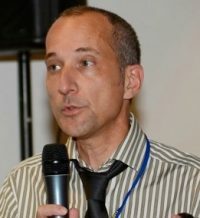 Neurologue, Professeur d’Addictologie et de Pharmacologie, fondateur et responsable de la Clinique Universitaire d’Addictologie du CHU de Grenoble. Assesseur du Doyen à la Faculté de Médecine de Grenoble, il y a réformé les études du premier cycle des études médicales et a contribué à développer et à structurer l’enseignement de l’Addictologie dans sa Faculté et son interrégion. Il a participé à différentes études muticentriques nationales, aux différents groupes de travail nationaux (alcool, antalgiques morphiniques, substitution opiacée, nouveaux produits de synthèse / nouvelles substances psychoactives) et à la rédaction des dernières recommandations en Alcoologie. De par sa formation, il s’intéresse particulièrement aux addictions médicamenteuses, à leur caractérisation et à leur prise en charge. Enfin, il a développé le programme ETAPE, programme novateur inspiré de l’éducation thérapeutique pour l’entourage de consommateurs.